1) What is employee scheduling and what terms it operates? Consistent employee scheduling is a necessary practice for any organization to ensure appropriate staffing coverage making all business functions of this organization properly supported and carried out with regard to its conception of business time, labour standards, availability and qualities of its existing workforce. The labour standards accepted in the most of modern countries state 40 hours of work during a workweek (8 hours of work everyday), and therefore employee schedules are traditionally 9 a.m. to 5 p.m., Monday through Friday. The work shift (a time period during which a person is at work) is a basic concept used for scheduling, and it comprises 8 hours for full-time workers or less for part-time workers. If employees have to work beyond of these limits (due to some reasons) this is called overtime and it should be compensated employers according to special tariff (overtime pay). 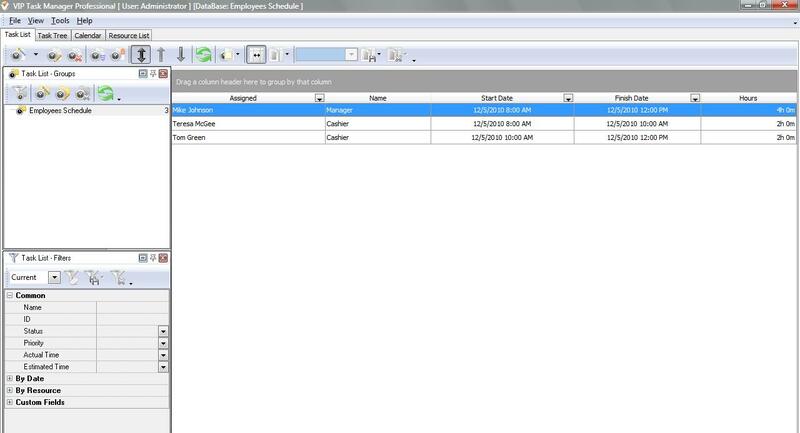 2) What to consider when creating an employee schedule? 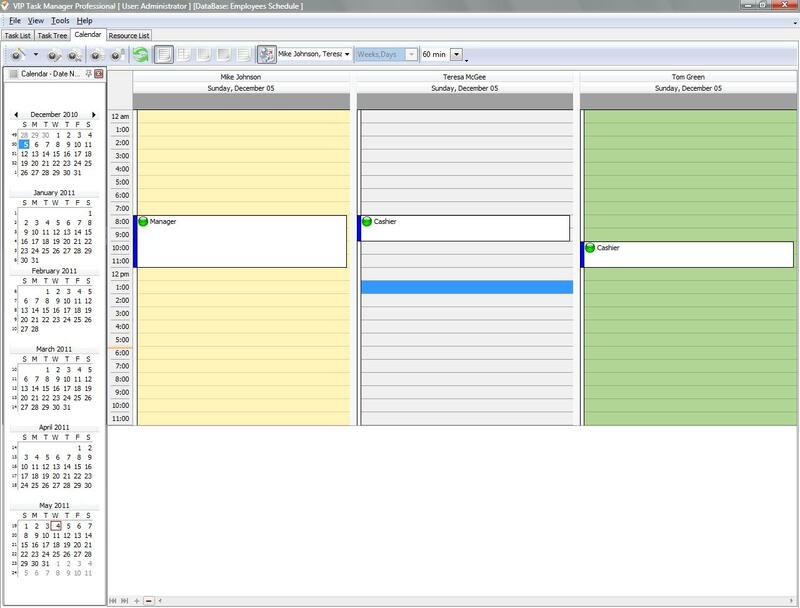 VIP Task Manager is a product that stands for collaboration between managers and employees, so it allows employers creating interactive schedules to manage working shifts of employees, so let’s consider a step-by-step instruction to schedule employees in this product.